Yesterday during lunch I was checking out some news sites and saw that former NBA player and award winning smooth jazz musician Wayman Tisdale passed away earlier that morning. He was 44 years old and had been battling bone cancer for the past two years. Wayman is survived by his wife Regina, three daughters and a son. After reading a couple of news articles about Wayman’s death I headed over to Pandora Radio and created a Wayman Tisdale radio station. I was introduced to his music while listening to Smooth Jazz 105.9 years ago. Check out the entire ESPN article here. Wayman made his music debut in 1995 by signing with Motown subsidiary MoJazz. His debut cd was titled Power Forward. He would eventually record seven more cds. His latest cd, Rebound was released last year. One of the songs from that cd is Never Never Gonna Give Ya Up featuring Toby Keith. And check out this video promoting his Way Up cd. I read an interesting commentary from Fannie Flono, Associate Editor for the Charlotte Observer titled Black moms, my mom and Michelle Obama. She talks about the image of black moms and specifically Michelle Obama. Considering that mainstream media and some black media have pretty much shown images of black women as lazy welfare queens, video vixens and teenage single moms, Michelle Obama is a much needed refreshing change. Yes I know some folks are sick of seeing and hearing about Michelle Obama but after decades of negativity about black women or treating normal, non stereotypical black women like we’re invisible, I enjoy reading about Michelle Obama. I’m sure the media circus surrounding the FLOTUS will slow down eventually. What I’m liking most about Michelle Obama being first lady is this: She puts on public display an image of black women and black mothers that many African-Americans can identify with, but that others have viewed as an anomaly. I’m not talking about her being a Harvard-educated lawyer or dressing in designer clothes or personally knowing Oprah. That sets her apart from most of us. But her loving relationship with her husband and her devotion to her children are familiar to many of us who have grown up in black households. It’s the stereotype of the wild-haired, bedraggled-looking “welfare queens” or booty-shaking, single teen moms that gives us pause. Sure, those people exist. But they’re not who most black women are. The last census showed 62 percent of black women worked for a living (as opposed to 60 percent of white women). The census also showed that 79 percent of blacks and 89 percent of whites earned at least a high school diploma. Nearly 30 percent of each group had some college education. For blacks, the majority of both were women. It is true that 65 percent of black births were to unwed mothers. But that’s not the same as saying 65 percent of black single women had children. The census shows 39 percent of black women are childless, and 43 percent of black families are married couples. So the idea of a Michelle Obama-like black mom is not a fairy tale, not the exception. It is the heart-warming reality a lot of us know. The Chicago Tribune has an interesting article about President Barack Obama’s great uncle Charles Payne. Eighty four year old Charles Payne was a private first class in the 89th Infantry Division during World War II. The 89th Infantry participated in the liberation of Ohrdruf, a forced-labor camp that was a satellite of the Buchenwald concentration camp. It’s been rumored that while visiting Europe this summer President Obama is considering a visit to the concentration camp that his great uncle helped liberate in April 1945 and he’s expected to commemorate the 65th anniversary of the D-Day landings in France on June 6. A White House spokesperson hasn’t confirmed or denied the rumored trip to the former concentration camp. For much of his 84 years, Charles Payne has lived in Chicago in relative obscurity and watched his sister’s grandson rise to the presidency. But now it appears possible that a painful part of Payne’s own story will be brought to the forefront, based on German news reports that President Barack Obama is considering a visit to the concentration camp that his great uncle helped liberate in April 1945. Payne, who spent much of his career working in library science at the University of Chicago, was a private first class in the 89th Infantry Division during World War II when he participated in the liberation of Ohrdruf, a forced-labor camp that was a satellite of the Buchenwald concentration camp. But Payne said he had thought little in recent years about the horrors he saw, until German reporters started calling to ask about a possible presidential visit. A German government spokesman told reporters in Berlin that Obama may visit Buchenwald while in Europe this summer. The president is expected to commemorate the 65th anniversary of the D-Day landings in France on June 6, and a Group of Eight summit will be held in Italy in July. A White House spokesman declined to confirm or deny that Obama planned to follow Payne’s wartime tracks. More than 50,000 people were killed at Buchenwald. After receiving a degree in engineering from Kansas State University, Charles Payne moved to Chicago in 1960 where he spent most of his career working in library science at the University of Chicago. Check out the entire article here and you can see the photo gallery here. Last Saturday night President Barack Obama and First Lady Michelle Obama had dinner at a Georgetown restaurant and then took an evening walk. WASHINGTON (AP) — The first couple took full advantage of the cool spring night. In one of their date nights in the District, President Barack Obama and first lady Michelle Obama dined out for nearly two hours at a posh Georgetown restaurant. Then they took an evening walk. After their motorcade arrived back at the White House, the first couple wanted a private stroll. Below an overcast sky Saturday, the Obamas clasped hands and made their way down the driveway of the White House South Lawn. They came back the same way, rounding out their 8-minute walk. It was a quiet contrast to their dinner outing. The Obamas’ visit to Georgetown attracted crowds of onlookers who were held back by police tape, while sirens wailed and a protester chanted outside the restaurant. 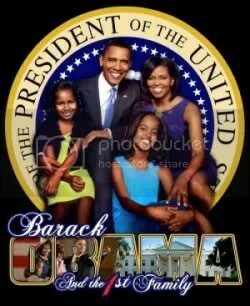 Posted in: President Barack Obama	| Tagged: family, Georgetown, life, Michelle Obama, President Barack Obama, Washington D.C. Yes folks, the lawyer representing an 82 year old great grandfather from Southeast D.C. has claimed the $144 million Powerball jackpot. The drawing was held on April 8. The widower with 10 children and 47 grandchildren and great grandchildren notified his family last night that he was the Powerball jackpot winner. Last week I mentioned that a lawyer had contacted D.C. lottery officials claiming to represent the winner. A lawyer for an 82-year-old Southeast Washington man claimed the $144 million Powerball jackpot today on behalf of a corporation set up to shield the winner’s identity. The man, a widower with 10 children and 47 grandchildren and great grandchildren, told his family last night that he was the holder of the lucky ticket for the April 8 drawing. The ticket was purchased at the Giant supermarket on Alabama Avenue in Southeast Washington. David Wilmot, the lawyer, said the man will take the lump sum payment of $79.6 million. Wilmot, who said he has known the man for several years, accepted the winnings on behalf of the Rockson LLC at a news conference today at the lottery claim center. The winner has formed three different trusts, Wilmot said. One is an education trust for his grandchildren and great grandchildren, another to provide healthcare for his family and another will give money to charitable causes. I can see why he took his time claiming his lottery prize. He probably wanted to think things over as to how to handle his winnings. I’m glad to see he created a trust for his grandchildren and great grandchildren and he’s providing healthcare for his family. And great move waiting until last night to tell the family. Congrats to the 82 year old great grandfather!! Posted in: Powerball	| Tagged: culture, family, money, Powerball Lottery, Washington D.C.
Yesterday’s Washington Post had a front page story about Washington Capitals hockey player Donald Brashear. I don’t follow hockey like I do football but I was curious about Donald Brashear. The only black hockey player I was ever familiar with was Grant Fuhr. Brashear has a reputation in the league for being a fighter. Right now the Washington Capitals are in the second round of the NHL playoffs and Brashear was suspended for six games after encounters with a couple of players from the New York Rangers during a first round playoff game. By the way the Capitals defeated the Pittsburgh Penguins yesterday 3-2. When the Capitals step onto the ice at Verizon Center this afternoon for the first game of their second-round playoff series against the Pittsburgh Penguins, Brashear will not be skating with them. In a first-round game against the New York Rangers, Brashear caught an unsuspecting Rangers forward in the face with his forearm, sending him crashing to the ice and breaking an orbital bone. The blow, and an encounter with another Rangers player before the contest, earned Brashear a six-game suspension. For fans of professional hockey in North America, he is an imposing 6-foot-3, 235-pound forward, one of the sport’s most recognizable enforcers, a black man playing a predominantly white man’s sport whose skating and stick skills have been dwarfed by his ability to pummel opponents with his fists. Donald Brashear didn’t have the best childhood. His father was an alcoholic and beat Donald with belts and electrical cords and he wasn’t treated well by his stepfather. His mother eventually placed Donald in the foster care system. Nicole Gauthier backed her black Saturn out of the parking space behind a working-class brick apartment complex in Candiac, Quebec, which sits on the south shore of the Saint Lawrence River about 20 minutes from Montreal. She was going to visit a friend when a reporter from Washington told her he had come to talk to her about the son she had not seen since he was 19. “We’re dead to Donald. He doesn’t want any contact with us,” she said, idling the vehicle and taking a drag from her cigarette. She met Donald’s father in 1967 when he was on weekend leave from the U.S. Air Force radar station in St. Albans, Vt., less than 20 miles from the Canadian border. Johnny Brashear was 22, already in the throes of alcohol addiction, and she was 19, a hardened product of Quebec’s foster-care system, when she became pregnant. They moved to Bedford, Ind., about 75 miles south of Indianapolis, to be married. By the age of 24, she had given birth to three children — Lorraine, Johnny Jr. and Donald, the baby. Johnny drank to get drunk, building up enough tolerance so he could down a pint of Seagram’s VO Canadian whiskey in three swallows. He would lose money at cards and come home angry and hungry, telling his wife to make him something to eat. He whipped Donald with belts and electrical cords and whatever else he could find during drunken rages that left welts and bruises all over the little boy’s body. Gauthier finally left Donald’s father, hitchhiking back to Canada in the middle of the night after he had beaten her three nights in a row. “I believed I was going to die or have a nervous breakdown,” she said. He would not rejoin his mother in Canada for another four years, when he would move to Loretteville, a small, middle-class town in central Quebec, to a brick house with windows poking through the roof. There he was reunited with Jay and Lorraine, and he would meet his half-brother, Danny, the first child Nicole had with Gerard Roy, her new husband. Gauthier said she had left Donald with his father because Roy was “prejudiced” and did not want another biracial child in his household. Roy had earlier tried to persuade her to give up Lorraine and Jay to social services, she said. Danny Roy recalled a visit one time to Gerard’s mother when she would not let his three half-siblings use her bathroom. “She took all three of them outside and made them go out there,” Danny said. One of the interesting things I learned from this article is that Donald Brashear is related to Carl Brashear, the first black master diver in the U.S. Navy. Johnny’s late uncle — Donald’s great uncle — was Carl Brashear, the first black master diver in the U.S. Navy. He was played by Cuba Gooding Jr. in the 2000 film “Men of Honor.” Johnny still hands visitors a pamphlet celebrating Carl’s life. You can read the entire Post article here and check out Donald’s official website here. During my lunch break today I read a very interesting article at Newsweek.com. I was clicking a link to an article and glanced at the title of another article. That other article was Raising Katie: What adopting a white girl taught a black family about race in the Obama era. I clicked the link to the article since it peaked my interest. You always here about white families adopting black, latino and asian children but you never hear about black, latino and asian families adopting white children. Of course there’s an imbalance between whites adopting children of color and people of color adopting white children. When folks see young white children with a person of color most assume the child is with their nanny or babysitter. They never think that the adult of color could be the parent of the white child. The article talks about the Riding family who live near Baltimore, MD. Mark Riding and his wife Terri have two biological children. In 2003 Terri’s mother took in a then 3 year old Katie O’Dea on a temporary basis. That question hit home for the Ridings in 2003, when Terri’s mother, Phyllis Smith, agreed to take in Katie, then 3, on a temporary basis. A retired social worker, Phyllis had long been giving needy children a home—and Katie was one of the hardest cases. The child of a local prostitute, her toddler tantrums were so disturbing that foster families simply refused to keep her. Twelve homes later, Katie was still being passed around. Phyllis was in many ways an unlikely savior. The former president of the Baltimore chapter of the National Association of Black Social Workers, she joined her colleagues in condemning the adoption of black children by white families as “cultural genocide”—a position she still holds in theory, if not in practice. She couldn’t say no to the “charming, energetic” girl who ended up on her front doorstep. I wonder if Phyllis Smith ever thought that she would become the legal guardian of a white girl. I do have a problem with her attitude towards transracial adoption when it comes to black children as cultural genocide. You would think that having Katie around would soften her stance a little bit. Part of the reason for the adoptive imbalance comes down to numbers, and the fact that people tend to want children of their own race. African-Americans represent almost one third of the 510,000 children in foster care, so black parents have a relatively high chance of ending up with a same-race child. (Not so for would-be adoptive white parents who prefer the rarest thing of all in the foster-care system: a healthy white baby.) But the dearth of black families with nonblack children also has painful historical roots. Economic hardship and centuries of poisonous belief in the so-called civilizing effects of white culture upon other races have familiarized Americans with the concept of white stewardship of other ethnicities, rather than the reverse. The result is not only discomfort among whites at the thought of nonwhites raising their offspring; African-Americans can also be wary when one of their own is a parent to a child outside their race. Just ask Dallas Cowboys All-Pro linebacker DeMarcus Ware and his wife, Taniqua, who faced a barrage of criticism after adopting a nonblack baby last February. When The New York Times sports page ran a photo of the shirtless new father with what appeared to be a white baby in his arms (and didn’t mention race in the accompanying story), it sent a slow shock wave through the African-American community, pitting supporters who celebrated the couple’s joy after three painful miscarriages against critics who branded the Wares “self-race-hating individuals” for ignoring the disproportionate number of blacks in foster care. The baby, now their daughter, Marley, is in fact Hispanic. “Do you mean to tell me that the Wares couldn’t have found a little black baby to adopt?” snarled one blogger on the Daily Voice, an online African-American newspaper.